What is it about nature that instantly connects us to the Source and Creator of All? That question popped into my mind during a recent trip to the mountains. After the business of getting to our destination was finished, the groceries unloaded and bags unpacked, there was nothing else to do but sit on the front porch and just be. For the first time, I heard the symphony of nature. The high rustle of the aspen leaves dancing in the sun. The birds talking to each to other as the wind enveloped the entire scene with a blanket of sound unlike anything I had ever heard. It started off low and distant, unseen but definitely heard. The tops of the pine trees on the next ridge began to sway and then it rolled over the hills and valleys until it reached my tiny, minuscule ears. Just like ocean waves that crash on the shore, only to recede back into their source, the wind in the mountains is part of the same eternal dance of giving and receiving. I forget to dance when I am so caught up in man-made ideas, concepts and things that my mind is cluttered with the so-called essentials of modern life. My ability to stop and listen to nature seems to dim amid all of the noise of living in a city – traffic and cars, the ding of another text message or email or just the sound of people talking. Until I return to my true nature of giving and receiving. But it is not just my outer nature to which I must tend – my inner world is most in need of attention. The giving and receiving also pertains to my relationship with God. We were created in His image and likeness. Perhaps that is why when I look at what God has made – the jewel toned hummingbird, exquisitely cloaked in brilliant colors, or the majesty of the Sangre de Cristo Mountain range, or just the simple beauty of the wind in the trees – I instantly connect to God. And I recognize that He was there all along, patiently waiting for me to accept His invitation to dance. As I learn and relearn the same lesson over and over, I realize that I am the one who turns away or does not listen. He is always there, hand extended in an open inviation for me to let Him lead. All I have to do is accept and follow. And my dance with the Divine can begin again. 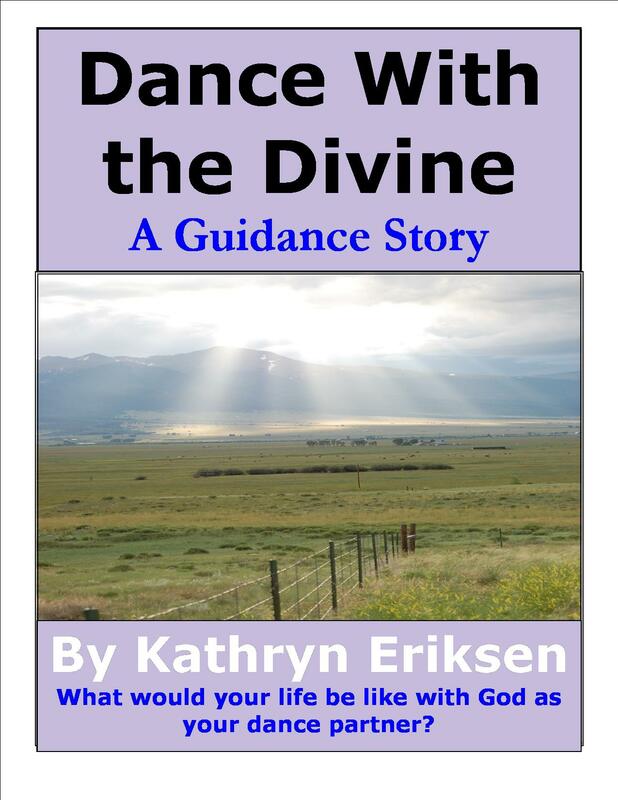 To learn more about how to dance with the Divine, please visit Amazon.com and look up my e-book by the same name. The cost is minimal ($2.99) but the impact immeasurable. Oh – how on target you are with these thoughts and insights. I have mentioned this many times myself – especially in my writings as well as in person. Too often we get caught up in the social media, technical world we forget the simple part of life so many think and dream about and miss! Kathy is so perceptive when she writes about slowing down, taking in life with all its beauty, and stopping to smell the roses. We, as a society have let the roses wilt and dry up to the point that we miss out on the rich relationhsips that Kathy speaks so well about. Keep up the reminders of living the “good life” here and now before it is too late. Tomorrow comes all to soon and all to late to some! Thank you for sharing your thoughts. If we all could just take five minutes every hour to remember who created us, the world would be a better place! Your post reminded me immediately of Psalm 19. Being in nature and responding to our Heavenly Father and Creator reminds us that our little story played out on our little stage is really part of a larger story, His story, played out on an eternal stage. Experiencing His creativity and majesty help us understand our part. We all need that perspective. We might seem small and possibly insignificant in the grand scheme of things but our lives matter to Him, so much so that He sent His Son for us, and we each have a role to play that no one else can. The King of kings has asked us to dance!! Do we even realize how significant that is? While reading this post, I could feel the hand of God reaching out to me. It has been a while since I danced with the Creator. I have allowed the distractions of the world centre stage in my life. Your post has stirred my heart and opened my eyes. Thank you. I felt the same way when I saw your photographs. You have a marvelous eye for the smallest detail. Thank you for your wonderful words of connection. I felt the same way when I saw your photographs of the burrs…the hand of God is all around us but our vision is clouded by ego-centered thoughts. Clear your mind and see God in everything!